Clear acrylic fits any decor. 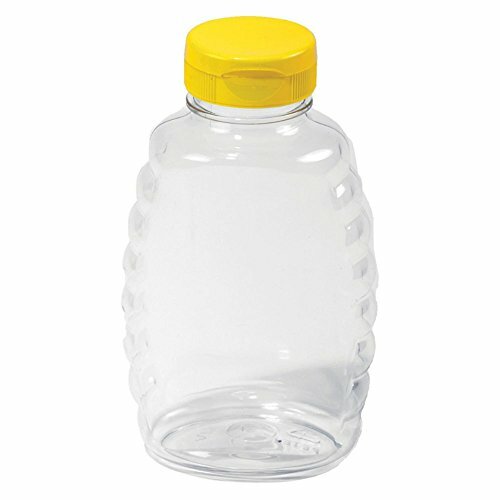 Durable, inexpensive, lightweight, and clear as crystal, this shapely acrylic honey jar is designed in an appropriately ribbed beehive style. 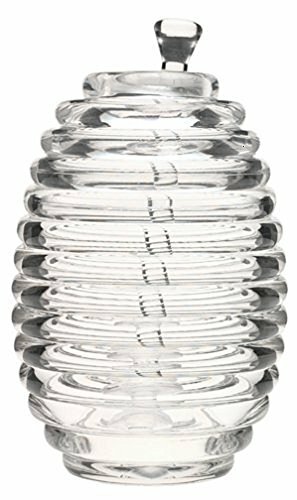 The ribs refract light pleasingly, while the jar’s transparency shows off the honey inside. 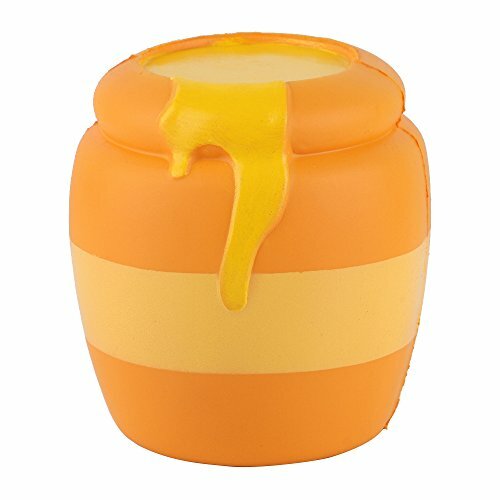 Under a lid that invisibly joins the bottom, the jar holds 1 cup of honey. 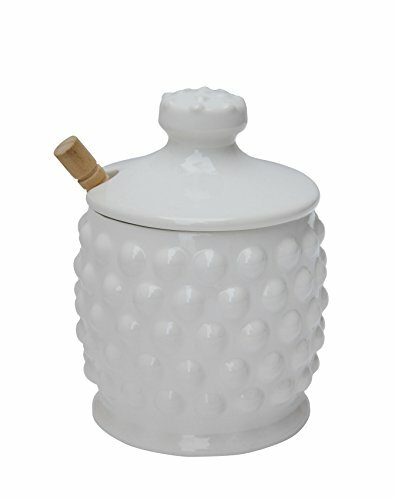 A honey dipper’s handle-knob pokes through the lid. Lift the lid to use the dipper; if the dipper’s already in the jar, just replace the lid over its knob. 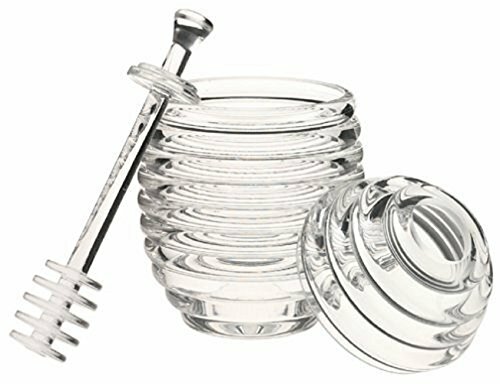 Though it’s best to hand wash acrylic with a nonabrasive cloth or sponge, this 6-inch-high jar can safely be cleaned on a dishwasher’s top shelf.